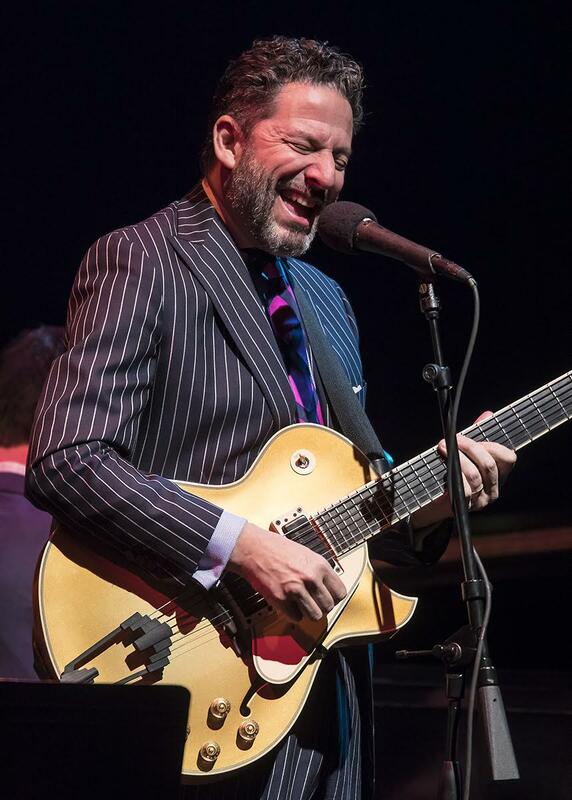 Sporting a new beard, wielding a seven-string custom guitar, and wearing a flashy pinstripe suit that he rather self-consciously referred to as left over from a production of Guys and Dolls, John Pizzarelli cut quite a figure on the Lobero Theatre stage on Thursday, March 23. Over the course of two substantial sets, Pizzarelli and his band — Konrad Paszkudzki, piano; Mike Karn, bass; Kevin Kanner, drums — played sophisticated jazz that mostly confirmed that city slicker image, but in a good way. At other moments, however, the group went far beyond these expectations, especially when it came time for Pizzarelli to celebrate an intense recent creative partnership.